Northern Ireland’s Environment Minister has rejected a global energy firm’s proposal to conduct exploratory drilling in County Fermanagh. 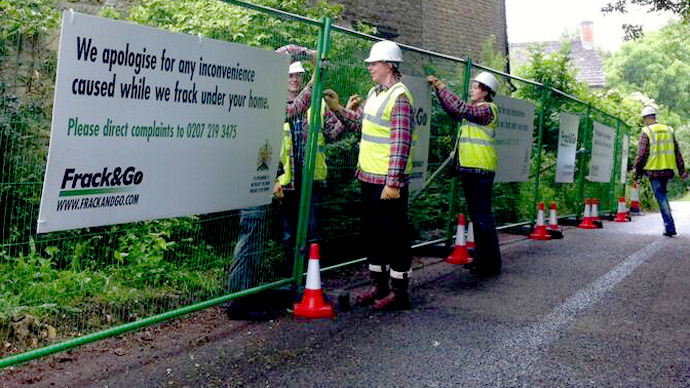 The drilling would have led to further fracking in the area if sufficient shale gas supplies had been detected. As part of its broader plans to frack in Northern and Southern Ireland, energy firm Tamboran Resources submitted an application to drill a 750-metre hole at Cleggan Quarry. The quarry is based in Belcoo, a small village inFermanaghsituated on the border of County Leitrim. 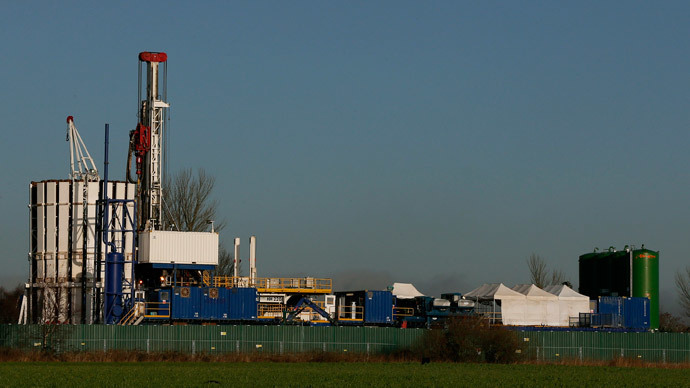 The Australian company had hoped to discern whether there was enough shale gas in the region to warrant a formal licence to construct a fracking operation there. But the Belcoo site, renowned for its pristine natural beauty, subsequently became the focus of 24-7 demonstrations attended by local politicians, farmers, and campaigners who were stringently opposed to the prospect of hydraulic fracturing in their locale. Taboran Resources attempted to bypass the need for full planning permission to drill at Cleggan Quarry, relying solely on legislation relating to “permitted development rights.” Under this legislation, the firm could have drilled the borehole without carrying out an Environmental Impact Assessment (EIA). Following careful consideration and numerous letters from concerned locals and political representatives, Minister Durkan said on Monday that a comprehensive Environmental Impact Assessment (EIA) was warranted before such planning permission could be issued. "In making this assessment I have been mindful of my department’s responsibility to ensure that the environment is protected at all times and that full consideration is given to any likely significant environmental impacts of such a proposal," he said. Durkan expressed concern that “unauthorized extraction” had already taken place at the quarry, and emphasized there was currently “insufficient information” to determine the potential environmental impacts these “unauthorized activities” may reap. Because unregulated drilling had occurred, which may harbor environmental repercussions, it’s currently impossible to cumulatively “assess the environmental impact of the drilling”, Durkan argued. On these grounds, the minister concluded a comprehensive EIA was crucial, and should be carried out prior to the pursuit of any further drilling. "The company is currently reviewing its position and will release a further statement in due course," the spokesman added. Locals had feared the exploratory drilling would signal a definitive step towards fracking in the district - an energy extraction technique, which encompasses the blasting of water and sand at high pressure into shale rock embedded beneath the earth’s surface in order to release oil and gas. In a mark of protest against Tamboran's plans for the region, anti-fracking campaigners had recently established a protest camp adjacent to the quarry where the firm intended to drill. 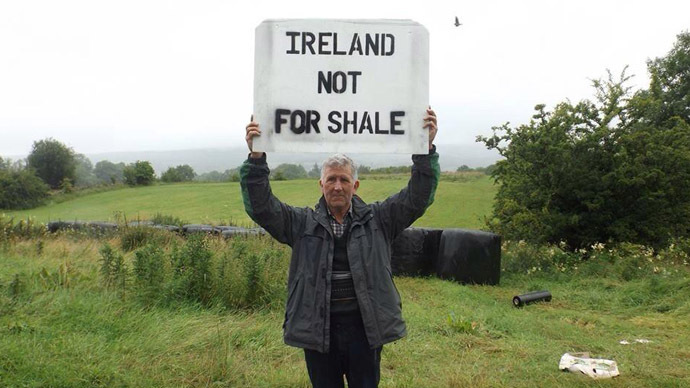 The demonstrators, who span political representatives, local business owners and an array of other concerned citizens, have collectively vowed to thwart all efforts to introduce hydraulic fracturing to Fermanagh. 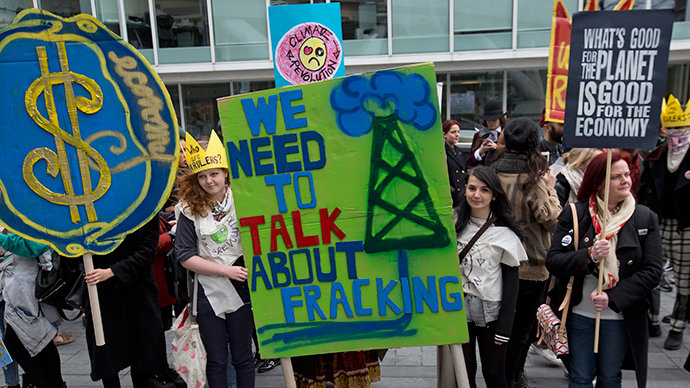 Policy makers in favor of fracking claim it promotes economic development, and will benefit society as long as environmental risks are mitigated. But environmentalists and others opposed to the controversial measure argue shale gas drilling causes contamination of ground water supplies, can incite earth tremors, andoften causes house prices to drop in regions where drilling occurs. PricewaterhouseCoopers (PWC), a mammoth global auditing firm, estimates shale gas deposits in Northern Ireland may fetch as much as £8 billion - or approximately 1.5 billion barrels of oil.Other experts disagree, however, emphasizing the economic costs of fracking in any given state inevitably surpass related GDP growth. The claim that fracking lacks economic viability is backed byswathes of leaked documents, recently published by the New York Times. The documents uncover multiple US industry insiders' assertions that hydraulic fracturing is an unprofitable pursuit. One leaked email - written in 2009 by an official from energy research firm IHS Drilling Data - stated myriad independent oil and gas producers viewed shale gas drilling as an effective "Ponzi scheme", for which "the economics just do not work". In another leaked document compiled in 2011, a PNC Wealth Managementofficial statedinvestment in hydraulic fracturing was rife, but the energy extraction technique itself was"inherently unprofitable". Sinn Fein MP Michelle Gildernew praised the Environment Minister’s rejection of Tamboran’s proposals, stating it was “the correct decision” given the “clear opposition to fracking” in the area. "There has been universal support in opposition to fracking in County Fermanagh since Tamboran applied to begin test drilling," she said. While Tamboran asserts the initial phase of drilling would have been orchestrated to “collect rock samples” and “no hydraulic fracturing” would have occurred at this juncture, the results of this exploratory operation would have determined the firm's future plans to frack in the region. Tamboran had hoped to initiate drilling in the quarry next month. While Durkan's recent rejection of the energy firm's proposal to test drill at Belcoo represents a setback for Tamboran, it's likely the company will persist with its plans for the area.Against a backdrop of mounting protest at its intentions to drill at Belcoo, the Australian firm recently sought an injunction to inhibit demonstrators from entering the site. Nevertheless, local campaigners are currently engaging in an around-the-clock peaceful demonstration at the quarry’s entrance to protest against the companies proposed measures. The Fermanagh & South Tyrone Green Party welcomed minister Durkan's decision, paying tribute to the "hard work of the frack-free movement in Fermanagh and beyond. 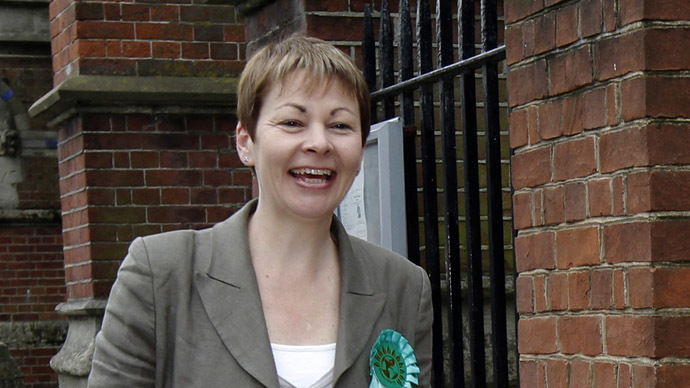 ""This is not the end of the story" ,the party said in an official statement on Monday. "We in the Green Party will continue to say no to fracking – always and everywhere – and support the people of Fermanagh in their peaceful opposition to the destructive and unnecessary exploitation of our county."